Step 1: Create your account on aws, if you don’t have an account already and complete the whole process. For this you would need your Credit Card details (because instances will be charged based on the usage, we can use free tier). Step 3: you should choose a region. We will be select EC2 service under Compute. A tag consists of a case-sensitive key-value pair. For example, you could define a tag with key = Name and value = Webserver. Step 14: Now we have create a private ip to run web server, instance provide a public IP but we can’t run server on public IP because when we restart the server public IP will change , so follow these step to create Private IP. Click on Allocate button and a new IP will be allocated and click on close button . Now we have to connect this IP to our instance. So click on Action button and select “Associate address” and follow these steps. Select instance name and private IP from their respective dropdowns, all the instances name and private ips will be in their respective dropdowns and click on Associate button . 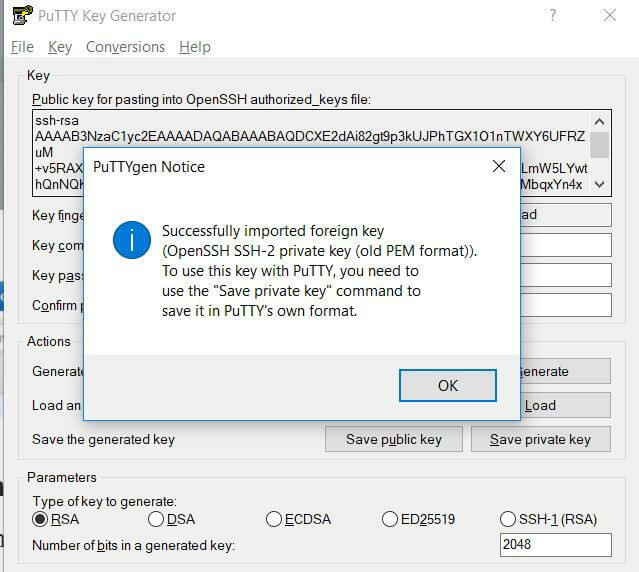 As you have downloaded the key pair (which is with .pem extension), we need to generate private key(with .ppk extension) to login to the remote instance using putty. Download putty and install it in PC , By installing putty, PuttyGen will also be installed. Open the PuttyGen, select “File” -> “Load private key”. It will generate the private key. Save private key to a file by selecting “Save private key”. To connect remote server with putty we need hostname of the server. Follow these steps to find hostname from instance. You can save the session by giving it a name and clicking on “Save”. Click on Open, and “yes” to login to the server. Please get back to us if you need any help about “How to setup AWS EC2 Server with Ubuntu 16.04 OS”. We provide service to help our customers to setup AWS EC2 Server with Ubuntu 16.04 OS.